The Right Reverend Eugene Taylor Sutton has been Bishop of the Episcopal Diocese of Maryland since June 2008. Previously, he served as Canon Pastor of Washington National Cathedral and Director of the Cathedral Center for Prayer and Pilgrimage. After serving as pastor of an inner-city congregation for five years, he entered graduate studies at Princeton Theological Seminary. 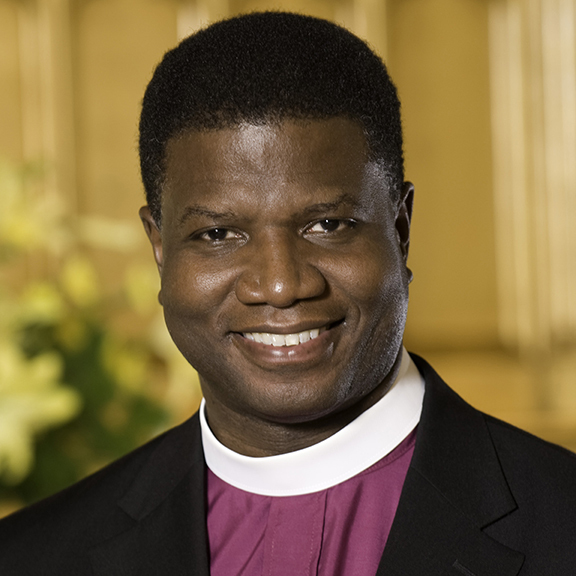 While teaching homiletics and liturgics for several years at New Brunswick Theological Seminary and at Vanderbilt University Divinity School in Nashville, TN, he became a member of the Episcopal Church and completed his Anglican studies at Sewanee: The University of the South, School of Theology in 1993. In 1995-96, he served as Assistant to the Bishop and Chaplain of the Diocese of New Jersey, while also serving as Adjunct Professor of Preaching at the General Theological Seminary in New York City. He has served as vicar of St. Michael’s Church in Trenton, NJ, priest-in-charge of St. Margaret’s and St. Mary’s parishes in Washington, DC, and associate rector for mission and spirituality at St. Columba’s Church in Washington, DC. Bishop Sutton graduated from Hope College in Holland, Michigan and received his M.Div. from Western Theological Seminary, where he was awarded the Pietenpol Honors for Senior Excellence, and was ordained in the Reformed Church in America.